Les McAuliffe has been brewing award-winning beer since 1998. His passion for Belgian ales is at the center of his beer making. We are serving up 12 beers, ales, ciders and mead on tap as well as mouthwatering savory servings perfectly paired with beer. 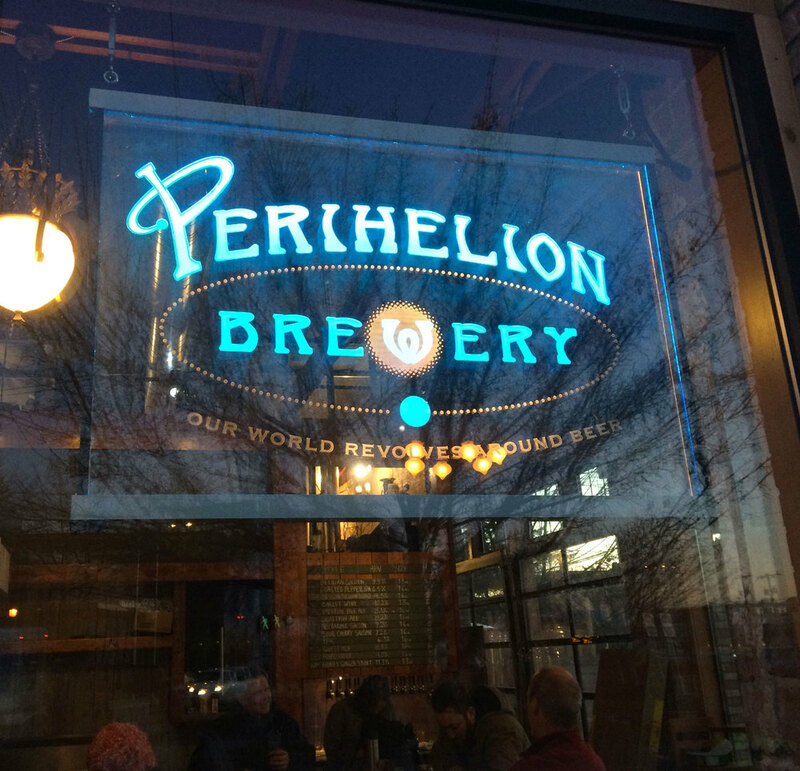 Perihelion Brewery opened February 2016 at the crest of Beacon Hill, close to light rail. The "perihelion" is the closest point to sun of an object's orbit . Come be warmed by our beers and food, we guarantee you'll leave us with a glow. Feb 10th. 2 Hour Late Start. We're always brewing something new. Come have a taste or stay a while. We have 11 of our own brews and 1 cider. We sell 64 oz and 32 oz Growlers to take away. This Saison has a very light body still presents classic Saison flavors of fruit and spice. The addition of acidulated malt contributes a mild tartness. It is easy drinking with a 6% ABV. This is a beautifully light easy drinking summer ale. With 40% of the recipe orange blossom honey light hop addition, the delicate floral notes of the honey comes through. As light as it drinks, it is still a fairly strong ale at 7.8% ABV. Rotating selection from our friend down the hill. . A good option for people who may be gluten intolerant. A light bodied easy drinking saison with notes of fruit and spice and nice roast from the malt. Finishes clean and dry on the palate. This red ale has a strong malty body and 5.4% ABV, it is balanced well with abundant late addition hops. With the big spicy hop profile this ale finished dry. The addition of roasted beets gives this ale a red color and subtle earthiness. This is a medium bodied porter, high roasted dark malts contribute coffee and cocoa notes. Dry hopping with cascade hops give the beer an earthy, nutty bitterness. It finishes dry on the palate. Otherwise known as a Cascadian Dark Ale this IPA has the deep rich color and body of a porter minus the roasted malt flavor of the dark grains. It pours with a thick dark tan head. 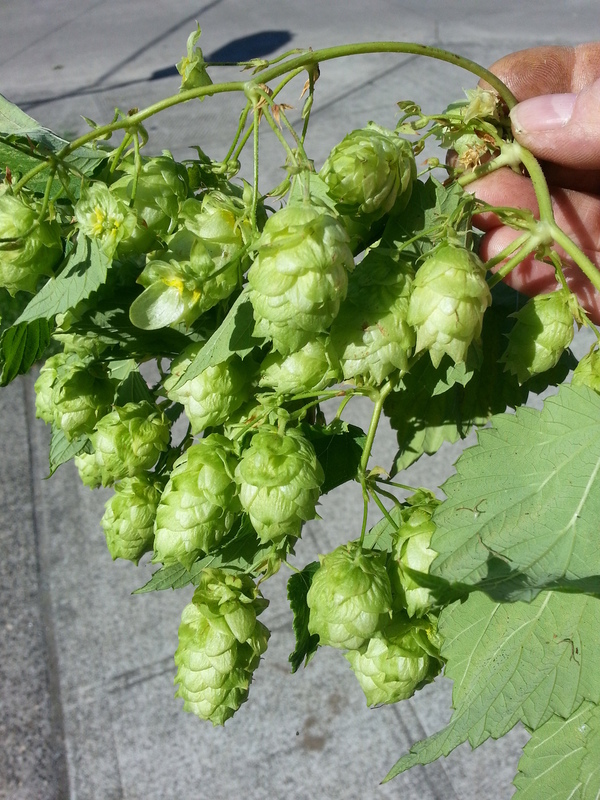 The malty backbone is well balanced by the addition of copious amounts hops in the boil and fermenter. Dry hopped with Simcoe and Mt. Hood. A Belgian style Pale ale leaning towards the darker side. Brewed with some Dark Crystal Malt that imparts raisin, plum and stone fruit flavor notes. A higher ABV than our Little Belgian Blonde coming in at 6.9% ABV. This brew is a traditional dark German rye beer, It has a medium body and mouth feel and pours with a light tan creamy head. The flavor has notes of fruit and spice and a mild sour finish. Limited Quantity! A braggot is a cross between mead and an ale. Ours is brewed wtih quince necter and aged in Woodinville Rye Whiskey barrels. 8.7% ABV. Don’t worry, the Galactic Drift will be back soon. In the mean time have a Nebula. It’s brewed the same way as the Drift but with different hops in the fermenter and a slightly less malty body. Dry-hopped with Citra and Centennial. PER•I•HEL•I•ON — the point in an objects orbit where it's closest to the sun. The first Saison is ready. Tuesday through Sunday 4-5pm. Enjoy tasty selections for $5 and $8. We're kitty-corner from the Beacon Hill light rail station and 36 busline. Parking is limited. Please respect the neighbors and do not park in the Red Apple parking lot. Beer lovers and those with healthy appetite encouraged. We are an all ages venue - children welcome! Well behaved dogs and miniature pigs are allowed on the patio. Sorry we don't take reservation since we are a small venue. We let customers seat themselves. Patio seating is communal. We can usually find a spot for you. Our main point of sale is at the front by the taps. You can order there and start a tab. We are happy to add whatever else you want. We do roam with our mobile tablets so feel free to ask a server to bring you another beer or more food. We brew all our own beer right here in our 7 BBL brewery. We smoke all our meats and nuts in house. We love the taste that black cherry wood adds to our meats. Our chefs are always finding new things to pickle in house, they brine their own corned beef and make the sauerkraut to round out the Reuben. Oh and you are going to want to try the house made mustard with our pretzels..
We were honored to be part of the class of 2016 when a whopping 861 breweries joined the ranks of America’s booming beer industry,. Beacon Hill Finally got a brewery to call its own in 2016 ...and the community immediately embraced the venue as their own. You’ll usually find 11 house-brewed beers on tap to accompany the food, which is every bit as impressive as Les McAuliffe’s beer. Beacon Hill's first brewery is pretty short on indoor space, but it does have a killer patio complete with a fire pit. ... Perihelion seems made for sun-worshiping; the name, after all, means " the closest point to sun of an object's orbit." WATCH Sarah get a tour of the place and try a few brews! This is our little American Blonde recipe mildly kettle soured with lactobacillus and fermented on mango.